Hostal Zabala, Madryt, Hiszpania : Rezerwuj teraz! 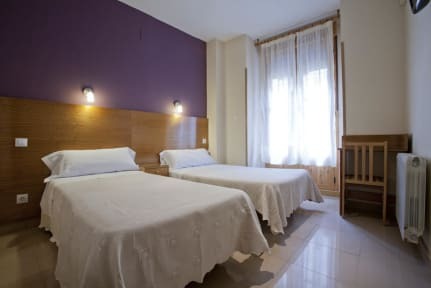 The Hostal Zabala is just 100 meters from the metro station Anton Martin of Madrid and 10 minutes walk from the Puerta del Sol offers Wi-Fi and bright rooms with flat screen TV. With tiled floors and light wood furnishings, the rooms of the pension Zabala have heating. Also include a desk and a private bathroom with bath or shower. Guests can request an iron or hair dryer at the reception. Also, have at their disposal a refrigerator and microwave. 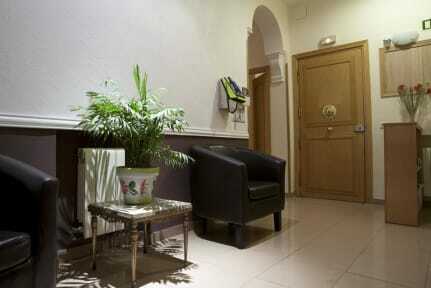 The property offers luggage storage.